What science now tells us, is one of the principal truths of the universe – a message that is as simple as it is significant: We are all connected – to each other and to everything around us. In a live event – featuring visionary thought leaders, innovative business leaders and world-class artists – we explore the basic nature of the connection and unity of all things, and offer a glimpse into the miracle and magic of who we really are. As we embark on a journey through time, we get a sense of our evolutionary history. How far we go back, and how we embody all that has gone before. As the ancients knew and have said: “There is nothing we have not been”. The question is who and what we are about to become? We live in a time of unprecedented change. Within a few generations the human family has moved from a long history of geographic and social separation to nearly instantaneous global communication and connection. For the first time in history we have the ability to connect with each other across continents and cultures, share information and become actively engaged in shaping the future. The time has come for all of us to become courageous pioneers—to venture beyond our personal, cultural, and national interests and come together in wisdom, spirit and intention for the benefit of all people in the human family. There are few places in the world that are surrounded by as much drama and history as Kronborg in Elsinore. It’s where the deadly cannon clad fortress meets the lavish Renaissance castle, and where Hamlet’s spirit haunts the hallway. Kronborg Castle was built in the early 1400’s, to collect dues of ships. 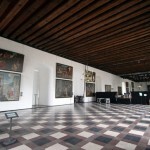 In 1601 Shakespeare published his version of the drama Hamlet; a story about Danish prince Hamlet, transformed into a modern renaissance story in Denmark’s famous Kronborg Castle. The Castle has since become known throughout the world as “Hamlets Castle in Elsinore”. 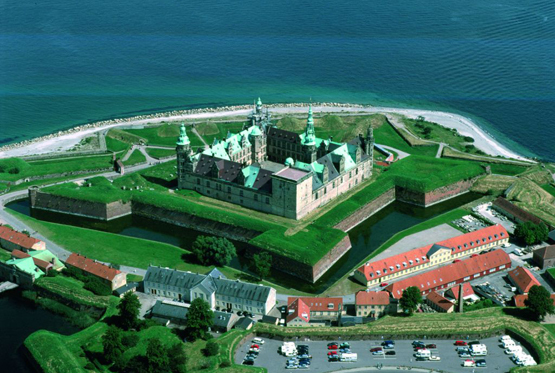 On 30 November 2000 UNESCO’s World Heritage Committee inscribed Kronborg on the list of World Heritage, which are considered to be of universal importance to the common heritage of humanity. Kronborg is joined on the list by other sites such as the Pyramids of Giza, the Great Wall of China and the Acropolis of Athens.